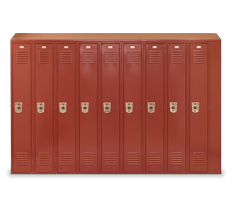 If you are searching for employee lockers,, school lockers,, athletic lockers, or storage lockers The Park Catalog has an extensive selection that will fit your particular needs. Employees want a secure place where they can store their belongings and your choice of employee lockers is a reflection on the workplace in general. Add attractive, sturdy employee lockers from The Park Catalog that come in a variety of colors from Marine Blue to Green Mist. The lockers provide shelves, coat rod, hooks, and louvers on the doors for ventilation. Be sure to install lockers where the metal edges are safe to touch and built with rigid doors to prevent theft. 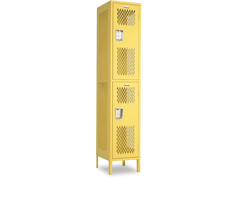 When it comes to athletic lockers for sports activities whether it’s a school gym, community pool, fitness center or country club, consider lockers from The Park Catalog that provide a high degree of ventilation. 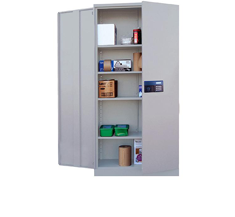 When it comes to storage lockers, we have a tremendous selection with different attributes including: flame resistant, safety, security, janitorial supply, chemical resistant, wardrobe, multi-use and more. While employee lockers and school lockers seem like simple products, there are several key components to consider when purchasing quality-built lockers. 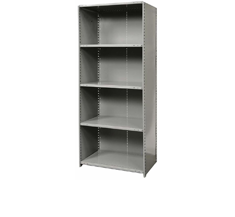 For example, commercial-grade lockers are built with prime grade rolled steel. Then coated with durable powder coatings. The finish is critical to prevent corrosion, rust and wear. Doors must be sturdily built to withstand years of daily use, especially by students. Door latches also must be made with craftsmanship in mind. There are single-point latches and multi-point with bars and springs. It’s the same with handles – which come in stainless steel recessed or T-handles, projected handles or door pulls. Vents are also important to be sure adequate ventilation is provided to prevent rust of mildew. One of the most important critical pieces of any locker is the door hinge. A substandard door hinge will eventually pull the door out of alignment and the user won’t be able to close it properly. Choose hinges that are welded securely with attention to detail. As for locks, The Park Catalog offers several options from padlocks, combination locks or key locks. 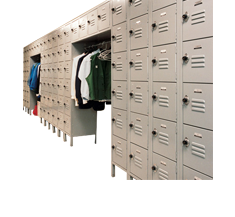 If you need lockers quickly, consider our quick ship program, where lockers can be shipped knocked-down in just a few days. There are options also available for pre-assembled lockers. For the best in employee lockers, school lockers or storage lockers, ask the knowledgeable staff at The Park Catalog to help you make the right selection that meets your particular needs.